In the heart of historic Ballard, surrounded by sweet treats and good eats, lies the Seattle branch of the a&be family tree. 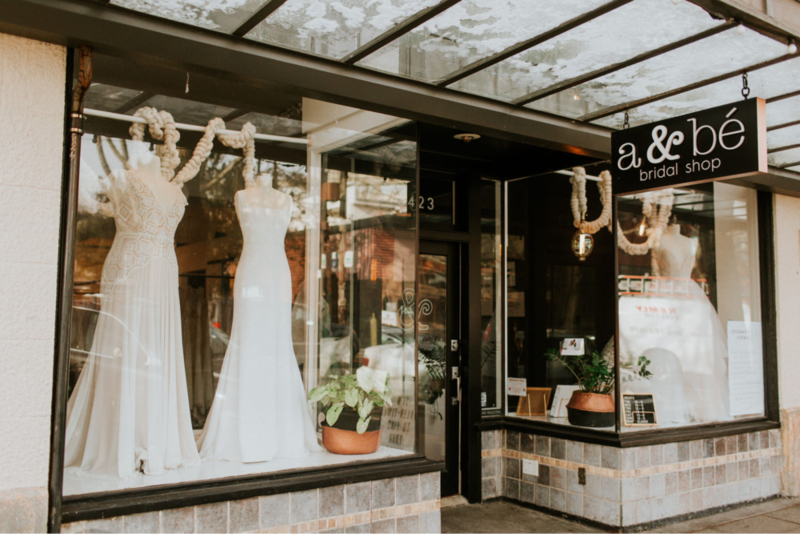 Photographer, Jenna Bechtholt, spent a sunny morning in our shop capturing a bit of the joy that we get to share with our brides each and every day. When you first enter, you will see our gorgeous gowns lining the walls of the shop, just asking to be tried on. Our dream team of stylists work hard, so you can have fun finding your wedding gown! Your stylist will start your appointment with a guided tour of our shop and help you to select gowns that could be the one. Then she will zip and clip you into each one, showing you what each one would look like on your big day. 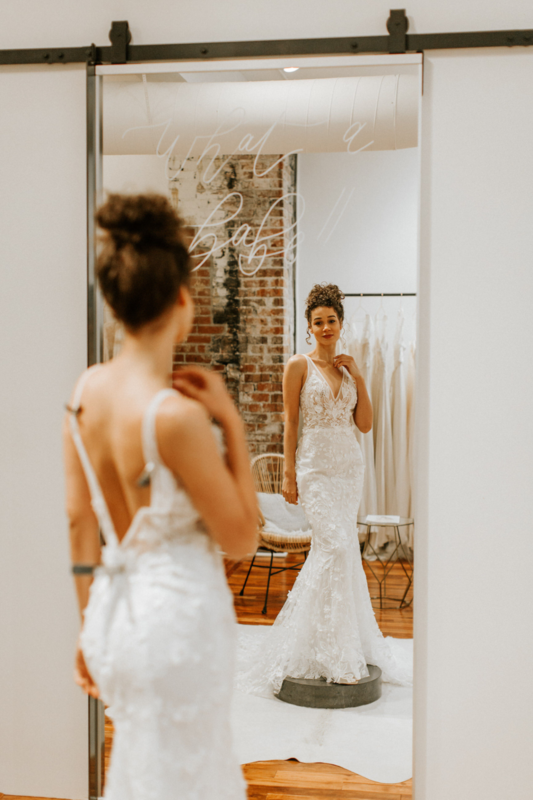 And she will ask thoughtful questions that will help you to discover which gown makes you feel like the bride you’ve always dreamt of being and a total babe! 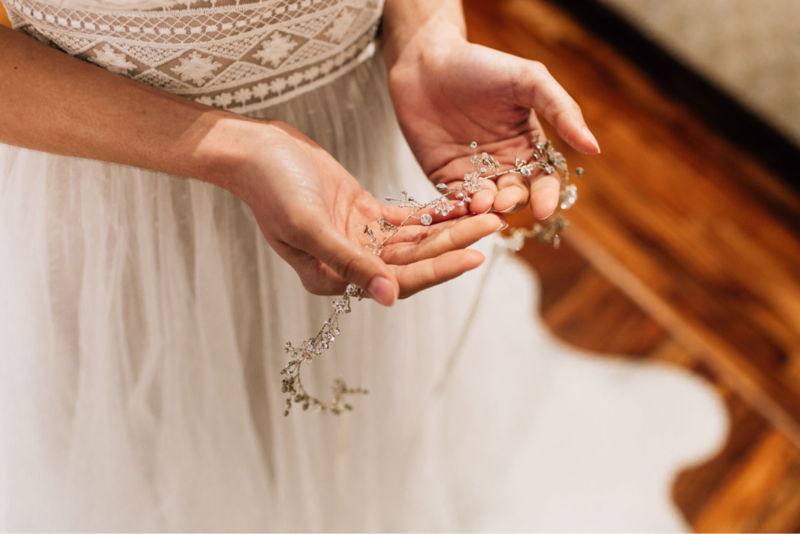 We have a wide selection of handmade veils, headpieces and jewelry to help you complete your look, once you have found “the one”! With these customizable accessories, you can add those finishing touches that are uniquely you. And before you leave, be sure to get something from The Babe Shop to commemorate the day you found your gown. Here in Seattle we’re partial to the coffee mug, of course! It’s a little something to remind you that: once a #aandbabe, always a babe!